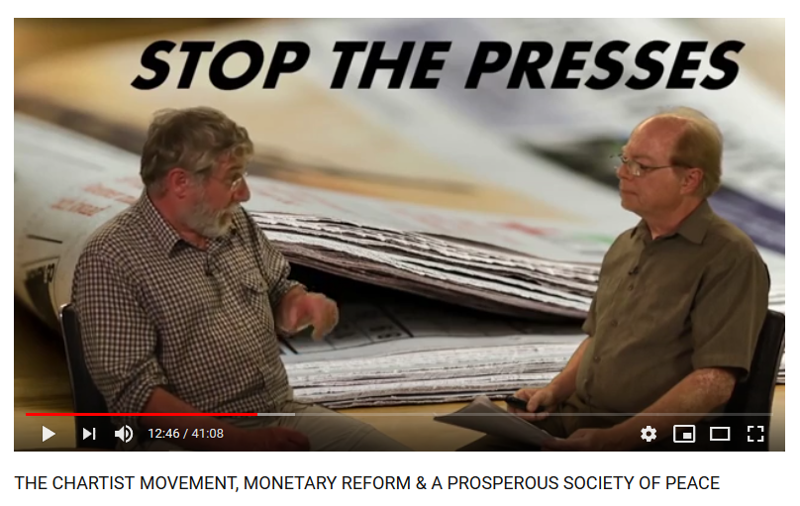 Shot at UK Column studios in June 2018, this is the first-ever news analysis video hosted by Congressional reporter Mark Anderson’s Stop the Presses News Association—exploring the Chartist Movement and its rebirth with guest Justin Walker, a noted British Constitution Group leader who discusses key monetary reform measures associated with the movement, as well as monetary reform history, ideas and proposals. The fascinating role of the Bradbury Pound during and after World War I in Britain is included. To broaden the perspective even more, Anderson includes the principles of the Social Credit movement and similar initiatives which have over the last century pointed the way to a vastly more peaceful and prosperous society by replacing the debt-based money system and “monopoly-of-credit” that imprisons us all without bars by putting us on a treadmill and channeling our labors into enriching a tiny plutocratic minority. 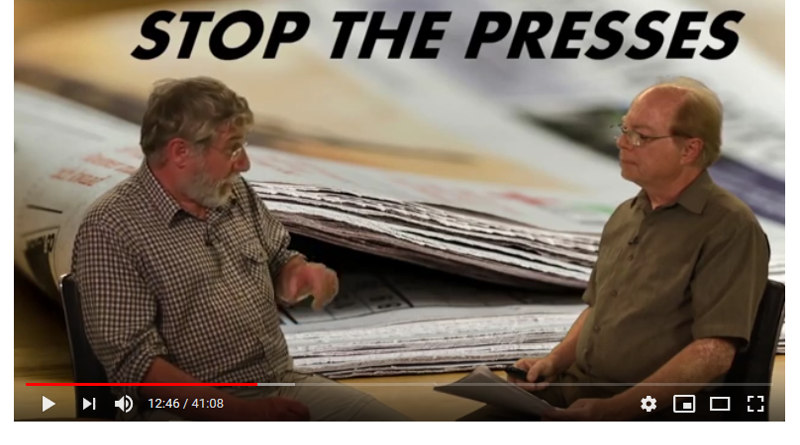 This video is a fruitful discussion whose ideas could go a long way in solving the political and social problems that plague humanity, if only people could see past media distortion and political party antics that combine to severely misdirect and confuse popular thinking and political efforts. That results in leaving the menacing “monopoly of credit,” the vast system of financial penury privately controlled by a consortium of banking interests, intact while the people fight among themselves and governments are co-opted to serve the financial overlords through militarized law enforcement, the courts, the legal profession, and through vast tax-collection agencies to service the overlord’s interest-bearing debts, both public and private. So, as long as this mother of all monopolies is not recognized for what it is, and constructively challenged and replaced, our corrupt political matters will drone ever onward, with very little in the way of lasting and positive changes. Since the “status quo” consists of monetary control and manipulation at its core—and since the control of our money enables the consortium to own the big media—it’s clearer than ever before what needs to be corrected to “right” our “ship of state” and get liens removed from our properties, etc. Feedback is welcome about this video: Please email truthhound2@yahoo.com or samueloconnor952@gmail.com to send comments or questions.